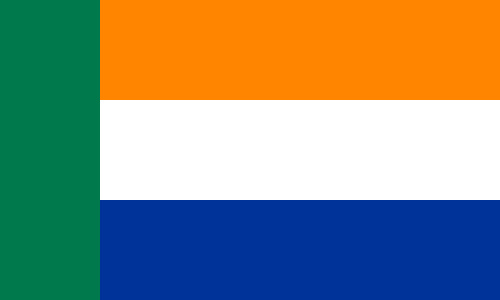 About 1,500 Boer and Afrikaner people live together in a small town in South Africa called Kleinfontein. Both groups of people are descendants of Belgian and Dutch settlers who have lived in this region for the past three hundred years. Even though several Boer families have emigrated to Australia, New Zealand or the United States in the last years, those who remained want to become fully integrated in South African society. On the outside Kleinfontein looks like many other small towns in South Africa: the houses are surrounded by blooming Protea flowers, meerkats are roaming freely, just as if they were house animals. However, you won't find the safety features in Kleinfontein that are so popular with home owners elsewhere in the "Rainbow country" – barbed wire, military-grade alarm systems and electric fences. Residents trust each other and if there is a problem or a dispute, the locals try to deal with it in their own community first before calling the police. This 100% Christian town outside of Pretoria is home to 1,500 Boer and Afrikaner people – the descendants of white Dutch and Belgian settlers, who have lived on this land for the past three hundred years. My guide is Dannie de Beer – one of the 12 directors governing the Afrikaner Cultural Town of Kleinfontein. Dannie is wearing a South Tyrolean jacket – a sign of his appreciation for the small German-speaking autonomous region in Italy. He says that just like South Tyrol, Kleinfontein is an ethnic community, struggling to survive and preserve its culture and heritage. The 800-hectare "shared block" property has its own restaurant, a shop and a bank, as well as school, home for the elderly, kindergarten and town hall, which also serves as a church. Kleinfontein is closed to outsiders. Every new resident is thoroughly interviewed by de Beer and other directors – people whose role is to be the "elders of the tribe." Even outside delivery and construction crews are allowed to enter the town only with permission from the board. If an owner wants to hire such a crew, management has to check first whether there are any local Boers that could do the job, and if that's the case, it may prohibit the strangers from getting the contract. According to Dannie de Beer such strict rules are in place because by letting someone else in to do their work, the community is risking its independence and power. Nevertheless, there are many other reasons why Afrikaners are trying to live together and not let the outside world influence their lives, and, foremost among them is simply because they don't feel safe in today's South Africa. Kleinfontein was founded in the early 1990s when a group of Boers purchased 10 hectares of land around a historic landmark, considered sacred by the Afrikaner people – the valley, where the 1900 battle for Donkerhoek took place. In this exact spot, - now marked by a memorial, 3,000 Boer warriors fought against 33,000 British soldiers. Both the British who died in that battle and the fallen Boer heroes were laid to rest here, in this valley. Kleinfontein is not the only Afrikaner community in South Africa. Its sister town of Orania is a two-hour drive away from here. Teams from both communities often gather to play rugby, as well as local games – jukskei and netball. Unlike Orania, which is known for its farming, the people of Kleinfontein export intellectual property and provide services required both inside and outside the community. They are engineers, builders, teachers and even surgeons. The town's engineers are currently building a one-megawatt solar power plant, which will make it possible to supply the community with clean energy. Another source of pride for Kleinfontein is the high-speed internet line. The connection relies on long-distance wireless technology and on the use of optic fibers. Andries Goosen has recently moved to Kleinfontein and rented a small residence, which he also helped to build. He says that living in Kleinfontein is more affordable than anywhere else, with the room costing as little as 75 euros per month, and living here helps him to save money on energy bills. Not everyone in Kleinfontein is a qualified worker, like Andries, or a doctor. Some locals live in extreme poverty. Some of them receive help from their neighbors, others receive assistance from abroad. Belgian activists who support the Afrikaners, have recently invested in building a house in Kleinfontein, and sent all proceeds to sponsor the town's school. Even though books in Afrikaans are being printed, they are too expensive for many Kleinfontein families. Some are so poor – they cannot afford school at all, with teenagers looking for work instead of sitting in a classroom. At the end of my tour Dannie dialed someone and asked the person in Afrikaans where the animals were seen this morning. He took me on a little "safari" right on the premises, so I could take pictures of Kleinfontein's wildlife. The town has its own nature reserve, and I got to see three out of 11 species roaming free right next to Afrikaner houses – zebras, the black wildebeest and the blesbuck. The locals live in harmony with nature and make sure that these animals are safe, keeping track of the population. Despite being a gated community, Kleinfontein doesn't want to be at odds with the nation's majority, and the locals say that their isolation is only for the sake of safety and preservation of their heritage. The Afrikaners offer their goods and services to surrounding towns to be useful to the region they live in – whether it's their current work as doctors, engineers and other qualified professionals, or their plans to provide nearby villages with electricity from their own solar power plant. "We're here to stay" – reads the Afrikaner slogan on signs around the community. And even though many members of the white minority have emigrated from South Africa, moving to Australia, New Zealand or the United States, with several Boer families even considering southern Russia as a destination the hope for most residents of Kleinfontein is to stay at home. They say that they want to be re-integrated into South African society, with no discrimination, no fear and without the need to live in a citadel.